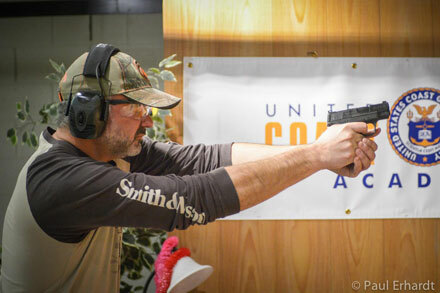 This past weekend Smith & Wesson hosted the second annual IDPA Back Up Gun Nationals. Since S&W partnered with IDPA to elevate the back up gun match format to a national title level, the concept has taken hold among clubs around the country. Over 90% of IDPA members have a concealed carry permit with many members owning multiple handguns for self defense purposes. Previously the back up gun match had been a rather smallish affair often limited to a round count of 50 or so. With S&W hosting a large scale national event the demand for similar matches has risen. This past season Pioneer Sportsmen in New Hampshire, a successful and growing club closely followed in this column, used one of its regular monthly matches to run back up guns. The competition drew over 120 shooters. Meanwhile, a couple hours south in the Valley Forge area of Pennsylvania, the Lower Providence Rod & Gun Club saw nearly 170 shooters take on their back up gun match. The small, compact concealed carry handgun continues to thrive in sales even as the overall market slows back down to the pre-boom norm. Giving gun owners an opportunity to shoot the pistol or revolver they regularly carry not only has the potential to draw more shooters to ranges, but it also serves to help transform the casual firearms purchaser – the ‘one and done’ buyer – into an enthusiastic participant in the overall gun culture where the competitive shooter has one of the highest customer lifetime value levels. This year’s championship brought in nearly 240 competitors to take on the 14 stage course of fire. It also drew a Who’s Who of sponsors from across the industry, many of which were returning sponsors. The match is one of the best supported thanks to the fact that it’s Smith & Wesson doing the asking…talk about unfair advantage. End Of An Era… One person that won’t be returning to next year’s match is Chad Barber of the U.S. Coast Guard. Stationed at the Coast Guard Academy, Barber and his wife, Angie, received word after the match that they’d be moving this summer to Chad’s final assignment in the Coast Guard when they take up station in Kings Bay, Georgia. This is significant news for both IDPA and Smith & Wesson as the Barbers have been key players in the match. Chad has designed (with Angie) and overseen the main stages of the match. If you’ve seen the S&W matches on Jim Scoutten’s Shooting USA television show then you’ve seen Chad’s work as these are always the most filmed stages in the match. No less significant is Angie’s contribution. Year after year she has not only helped Chad with stage concepts but handled half the match scoring workload. When matches run smoothly you almost never think about the effort that goes into making that happen. When a match goes south it’s easy to see where effort was lacking. The smoothest and most competent aspect of both the Back Up Gun Nationals and the last five or so Indoor Nationals at Smith & Wesson has been the result of these two individuals. As Chad and Angie Barber move on with the USCG in service of our country, they will leave behind a big void at Smith & Wesson not easily filled. But more importantly, they leave behind a great many friends that will miss them dearly. Thanks to these two the United States Coast Guard Academy has shone brightly in the spotlight provided by Smith & Wesson’s matches. The CEO Is Out, Shooting… In the event you were not already aware, Smith & Wesson is a publicly traded company. The people that run such operations don’t often have free time to do little more than make brief public appearances and do a little glad handing. Imagine a sitting U.S. Senator and you sorta have a picture of the modern CEO. Which is why the presence of James Debney, S&W’s President & CEO, on the range was so unique. Debney was not there to glad hand. He was not there to wave the flag, kiss babies or make meaningless speeches. He was there to shoot. 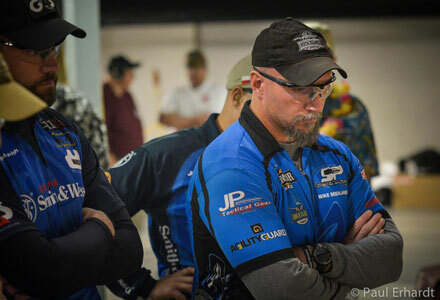 Following his hands-on introduction to IDPA at the Indoor Nationals this past February, Debney dove head first into IDPA and in addition to practicing (in his very limited free time) he chose to compete in the match he hosts. While he didn’t win any titles, he didn’t finish last either. He did, however, solidify Smith & Wesson’s position within the IDPA world where most competitors can’t name most industry CEOs let alone pick them out of a lineup. In the case of Debney, not only can they point him out to you on the range but they address him by his first name…just like any other IDPA member. 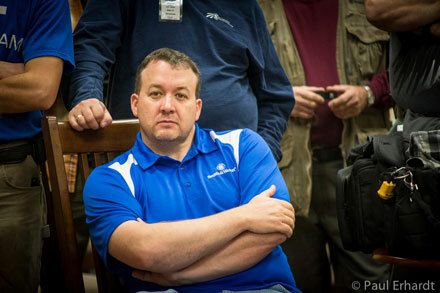 Rock Island Armory’s Mike Seeklander not only defending his 2013 title in the pistol division but outshooting Team S&W’s Jerry Miculek, the wheelgun division champion, with the overall best time (151.62). Last year Miculek proved that the revolver can outrun the pistol with his top time. Among those seeking the title of Ladies Champion, it was Team S&W’s Randi Rogers (172.32) outpacing teammate Julie Golob (186.74) followed by wheelgunner Joanna Lenczewska shooting for Newbold Targets (229.24). It’s probably a good time to point out that Rogers also posted overall stage wins on three of the 14 stages in the match. In the other title races, Miculek also took High Senior. Lou Denys won High Distinguished Senior (276.71). Padraic Sullivan won High Junior (169.25). Team S&W’s Brandon Wright took High Industry (155.30). Seeklander added High Military to his awards count. And Jim Meyers took High Law Enforcement (157.44) and Most Accurate with a disgustingly low points down total of just 6. ← Knife Stopping Power – Key Facts You Need To Know!